Our latest new and improved intelligent model combustible gas detector is now available in both aluminum and stainless steel and is approved for Class I, Group A, B, C, D. We have packaged the detector in a more compact housing which is lighter than previous models and features a a catalytic sensor, a bright LCD screen which displays the gas concentration in % LEL, 4-20 mA output, dry contact relays, and on-screen calibration instruction. 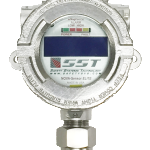 The gas detector responds to all hydrocarbon combustible gases such as methane, propane, butane, hydrogen, gasoline (petrol), acetone; ethanol, toluene, and other gases. Available with optional wireless transmitter with text, e-mail notifications feature. 5 Year Warranty. 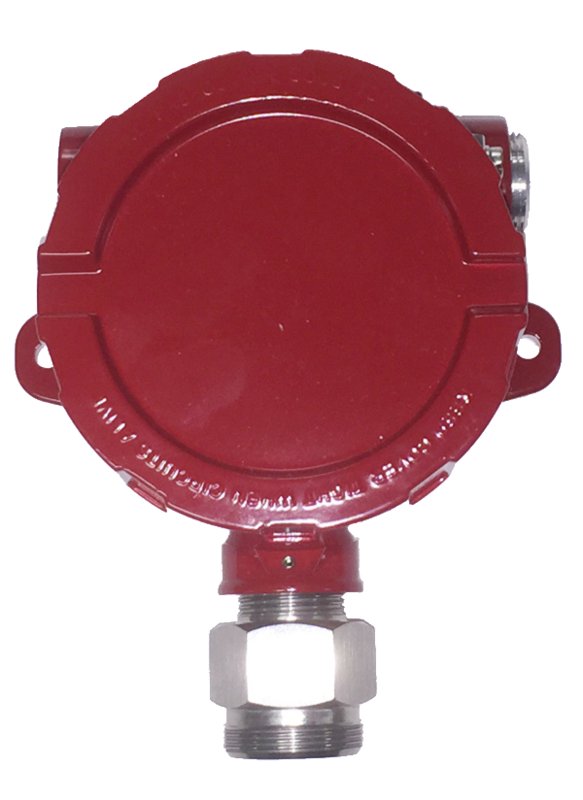 Made in the U.S.A.
Use the NOVA-Sensor ELITE Combustible Gas Detector to alert personnel when a flammable gas or vapor is accumulating in a protected area. 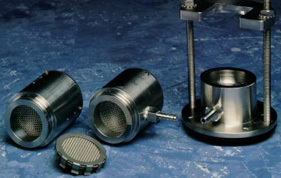 This detector uses a catalytic poison-resistant sensing element, and provides accurate measurements in atmospheres where traces of silicone or other poisoning agents may be present. Readings are unaffected by humidity or carbon dioxide. The display screen on the NOVA-Sensor ELITE continuously displays operating status and the actual concentration of gas in percentage of the Lower Explosive Limit (%LEL). This reading is converted to a standard 4-20 mA signal, which may be connected to any remote device for remote display or logging. Relay contacts are provided which transfer when the gas concentration exceeds the LOW ALARM and HIGH ALARM set points. Typical set points are adjusted by the installer upon installation and may be reset later by authorized personnel. 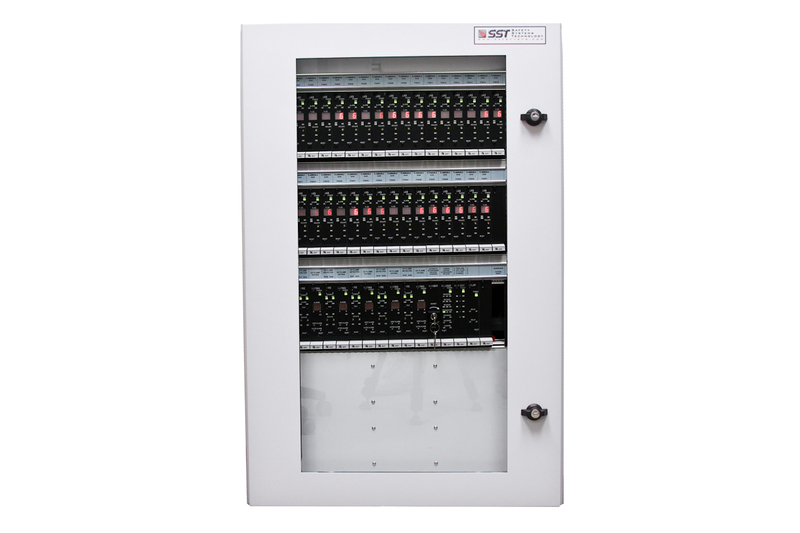 The relays are suitable for controlling local HVAC equipment, alarm signal devices or for equipment shutdown. Fault relay contacts are also available which operate upon loss of power or internal failure of the unit. The automatic calibration sequence is initiated by using a magnetic key on the top portion of the enclosure. During calibration, step-by-step instructions are displayed on the NOVA-Sensor ELITE screen. There are no screwdriver or other manual adjustments required, and the calibration can be performed even in the presence of combustible gases. 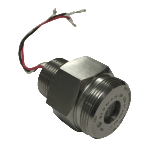 Combustible gas sensing capability shall be provided by poison-resistant catalytic gas sensors, contained in explosion proof housings. The sensor shall include a microprocessor based control electronics which converts the measured gas concentration in percent LEL to the industry standard 4-20 mA signal, plus alarm and fault relay outputs. A continuously reading digital display shall be provided on the sensor, capable of displaying sensor status in the current LEL reading. A switch for initiating sensor calibration shall be provided. Calibration shall not require any operator adjustment. All calibration data shall be stored in non-volatile memory in the sensor. Relay and analog outputs shall normally be inhibited during calibration; however, it shall be possible for the calibrating technician to selectively enable outputs when desired. The sensor shall be suitable for offshore use, and the manufacturers data shall so state. 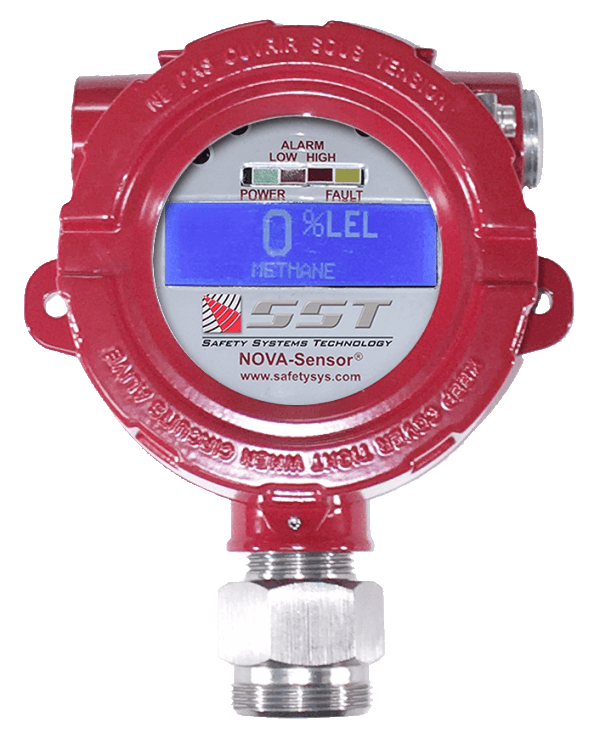 Safety Systems Technology Model GC804 Combustible Gas NOVA-Sensor ELITE, or approved equivalent, shall be supplied. A complete and fully assembled gas sampling system which uses customer supplied instrument air to create a vacuum which extracts the sample gas from the source and passes through a sampling block and through the gas sensor. 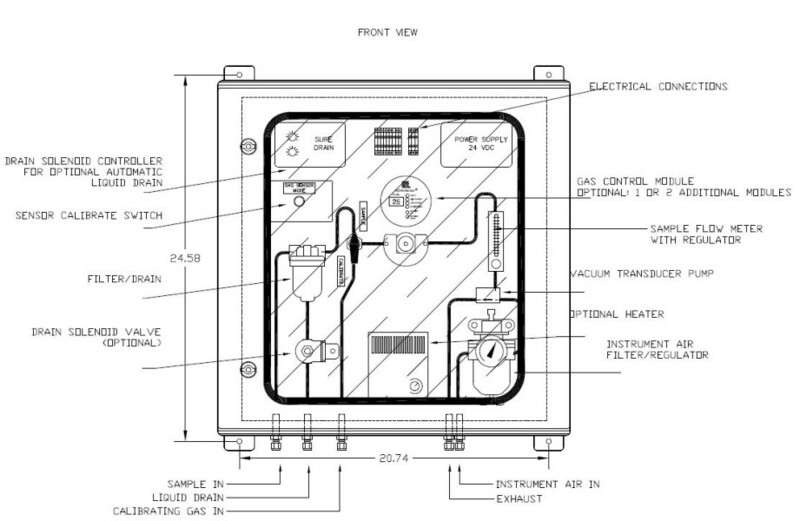 The system is custom built in a non-metallic NEMA4 enclosure with all the components required to extract the gas sample and check the level of combustible gas present. 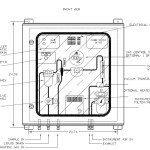 The system includes a built-in NOVA-Sensor ELITE controller with bright LCD display of gas concentration in % LEL, a gas sampling block, combustible gas sensor, sensor calibration switch, 24V DC power supply, a flow meter with integral pressure regulator, filter/regulator for instrument air, vacuum eductor, filter with liquid drain for sample, 3-way brass ball valve for calibrating gas, ¼ inch tubing, and tube fittings. Optional accessories available include a drain solenoid controller for automatic liquid drain, drain solenoid valve and heater. 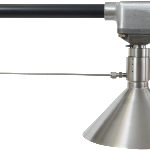 The heater is supplied as an optional accessory to prevent condensation within the unit for outdoor applications.